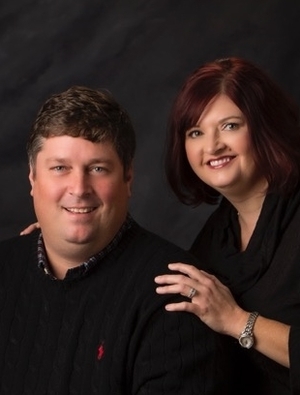 For Jennifer and Clinton Roberts, there’s no better place to raise a family, start up a business, serve others and strengthen their faith than in Shelby County, Kentucky. This shared passion is what has motivated them to team up and help draw more people to enjoy homeownership in the community they know and love. Jennifer is a registered nurse working at Jewish Hospital Shelbyville where she’s gained valuable experience caring for and working with different personalities in stressful situations, a skill that will come in handy in her new role as Realtor with Torrey Smith Realty Co. Her husband, Clinton, said Jennifer’s work ethic is unparalleled, “I’ve never seen another woman who works like she does.” Clinton is no stranger to hard work himself. He’s owned Robert’s Lawn service for 27 years and if there’s a neatly manicured lawn in Shelby County, it’s likely his team has mowed it. Jennifer noted that her husband’s ability to stay tuned in to others and be connected will serve him well as a real estate agent. “He knows everyone. And, he’s very goal oriented. If he has a goal in sight, he does everything to achieve it. He also speaks Spanish, and I think that will help him as well,” she said. Clinton and Jennifer have two sons, Cameron and Connor. They are active members of Emmanuel Baptist Church and are looking forward to this venture together. “We’re like mashed potatoes and gravy. We work together as a team in everything we do. We both work hard in everything we do and we love the community we live in and the people in it,” Clinton said. One of the reasons they chose to work with Torrey Smith Realty is the example the company sets as a faith-driven business. As they embark on this next mission in contributing to the community through helping others, Team Roberts is poised to help clients move forward and share in their passion for all that the Shelbyville area has to offer.